Have you ever seen a bike in a street and envisioned modifying it up into something dreamy? During the last winter, I was walking through a street in Barcelona when I came across a KTM 390 Duke. I was immediately impressed with the styling and figured it would be a fun bike to cruise around on. The chassis was an attractive unit and the bike looked like a good base for something cool. The more I thought about it, the more I envisioned that sweet frame housing a two stroke engine, such as a raw 350cc+ twin cylinder engine, similar to that of a Yamaha Banshee or RZ350. This seemed like a great idea, however when thinking more in a marketing sense, I felt that a detuned, economical 300EXC engine could do the job. For starters you have the electric start, the engine has been refined for years and the 6-speed transmission would work nicely on the road with correct gearing. A creative combination of three models into one. 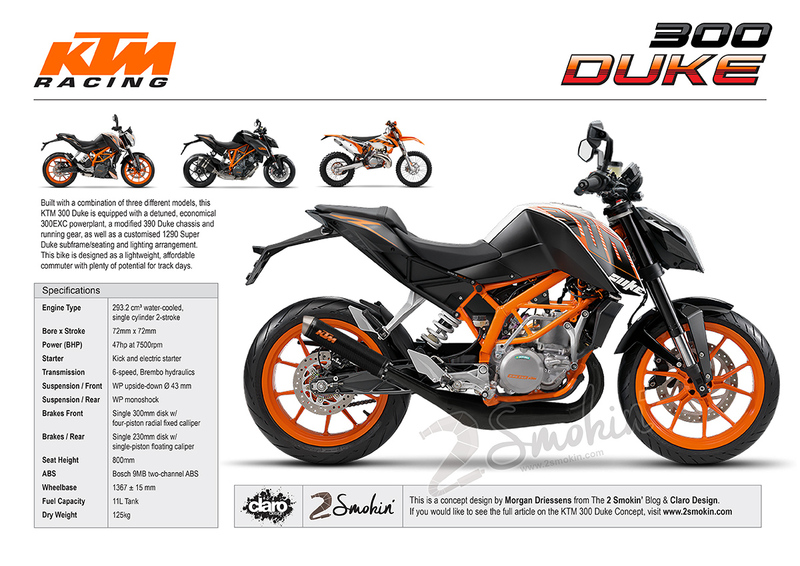 Shown here is a combination of a modified 390 Duke chassis, the 300EXC engine and a reshaped tail unit from the 1290 Super Duke. I also incorporated the headlight from the 390’s bigger brother to give it a more aggressive front end, as well as a custom, under slung exhaust to give it a smoother look. Ideally the bike would be detuned as a means of making it a more smooth, economical bike to ride. However there would certainly be plenty of potential in the 300cc powerplant for more horsepower. 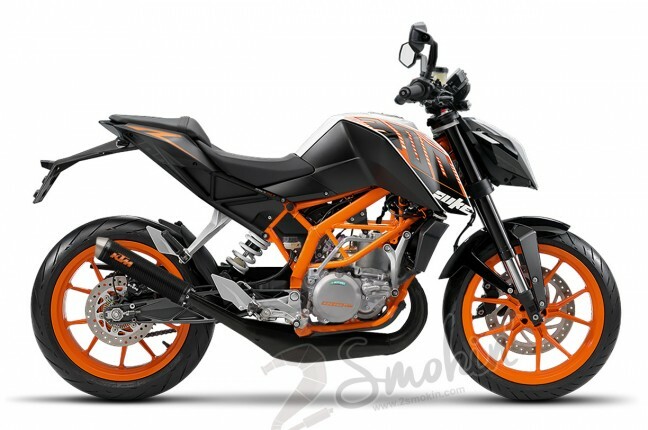 I think there is no doubt that the bike would provide a lot of fun on the street and would certainly turn some heads with that crisp two-stroke exhaust note! 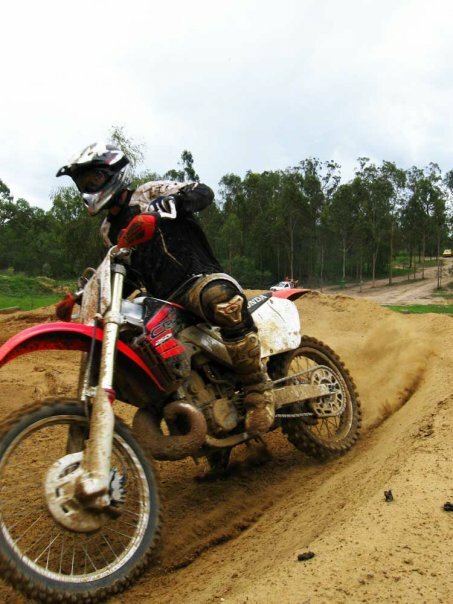 I think more front brake. .. maybe twin disc or an oversize disc? Would be a lot of fun in the hills!